Bournemouth is a large coastal resort town on the south coast of England and is the largest settlement in Dorset, lying directly east from the Jurassic Coast – a 95-mile World Heritage Site. Before it was founded in 1810 by local legend Lewis Tregonwell, the area was deserted heathland, occasionally frequented by fishermen and smugglers. Initially marketed as a health resort, the town received a boost when it appeared in Dr Granville's book, The Spas of England. But things really kicked off with the arrival of the railway and it became a recognised town in 1870. Not surprisingly, the town centre has some gorgeous Victorian architecture and the 202-foot spire of St Peter's Church. It's a place that is very pleasing on the eye. Today, it's a popular tourist destination, attracting over five million visitors annually with its beautiful beaches, attractive parks and gardens, and lively nightlife. It has its own Pier and the famous West Cliff Lifts, conveniently taking passengers from the beach to the cliff tops. What's more, the seaside town has a thriving creative scene with over 450 creative agencies across Bournemouth, Dorset and Poole and it even boasts the UK's fastest residential broadband network and Europe's fastest free WiFi, supplied by @FusionWifi. "Having moved down to Bournemouth from London, I was pleasantly surprised to find a thriving creative industry with many medium-sized digital agencies with large global clients and emerging initiatives to encourage growth. "Silicon South is working hard to lure big investors down here. There are two popular annual conferences: re:develop, which I attended last year and was extremely helpful, and Silicon Beach. "In May, Bournemouth University runs a Festival of Learning Week where anyone can attend free lectures, so I learnt more about cyber-security, what makes a tweet sticky and the latest developments in eye-tracking techniques. "There are some great co-working spaces in the area, Neon is based at Nest Space in central Bournemouth which provides an open plan working environment, a large meeting room and cross-business collaboration with the incumbent businesses. "Finally of course there is the beach! Not many towns within two hours of London can boast a seven mile sandy beach on its doorstep - it’s fantastic." "I set up my own copywriting business here in Bournemouth three years ago. The feeling of de-stressing when I moved from London was almost instantaneous. There's something so therapeutic about having the sea right on your doorstep; I'm sure people here are calmer as a result. I know I am. It took me a while to find all the creative stuff going on locally, but it's most definitely here - and in abundance." "I think a lot of people are nervous about moving out of the big creative centres like London and have the fear that life will be too slow or people less creative, but I don't think this is actually the reality. I have recently moved to Bournemouth from London and have found the move hugely inspiring, having a little more room to breathe and not being surrounded by the 'latest design trends' gives you space to be more original, develop your own ideas and a stronger sense of identity to your business. "There is a buzz here, with a healthy creative scene, with a variety of studios of different sizes and specialities and a regular creative industry meet up called MeetDraw where we can all get drunk and compare font sizes." If you're looking to study, Bournemouth is home to two universities: Bournemouth University and Arts University Bournemouth, both of which are across the boundary in neighbouring Poole. Bournemouth University has a fantastic reputation worldwide and is especially recognised for its work in the media industries, being home to the Centre for Excellence in Media Practice (CEMP). Graduates from the university have worked on a number of recent Hollywood blockbusters, including Academy Award-winning Gravity... All thanks to the university's own National Centre for Computer Animation – the leading centre for teaching production and research in computer animation and digital effects. Bournemouth University is also hugely connected to the local creative industries and is supplying the town's creative firms with talented graduates, while supporting them through schemes such as Santander Internships. In the meantime, Arts University Bournemouth is one of only fifteen higher education institutions in the UK devoted solely to the study of art, design and media. It has been providing specialist education for over a century and has a leading national and international reputation. The Gallery at the AUB offers a unique space in the South West for the contemporary arts and has regional and national recognition. If you're after hot desks or some flexible office space, then you should check out Nest Space and By The Sea. Both are friendly co-working spaces where you can work and meet like-minded creatives. David Stroud is one of the co-founders of Nest Space. He has witnessed more people than ever relocating to live and work there, and sees an even brighter future for the town. “Bournemouth has always been a great lifestyle destination. We're just a couple of hours from London by train with a fantastic beach stretching as far as the eye can see, the New Forest on one doorstep and rural Dorset on the other - it really is a fantastic place to live. Now, with the emerging knowledge-based economy allowing people to work from wherever they choose, more and more people are beginning to see Bournemouth as a great place to live and work. “We have a growing number of super-talented startups based at Nest, like British Software, Neon Web Design, Tom Parrish, BeBirbal, Online Impact, Messagelab Communications and PaintShop Studio to mention a handful, and that’s not including everyone on our online network. They are all at the beating heart of Bournemouth’s developing economy, and loving every minute of it. “What’s really exciting is the town is poised to make the most of this shift, and really support the exploding knowledge-based economy. There are stylish new cafes and coffee shops catering for tech-savvy entrepreneurs, smart new hotels being built, an increasing roster of regular events like VFX festivals and development conferences. In addition, we have great cultural venues like Bournemouth Pavilion, and of course co-working spaces like Nest and its growing network. We enable these tech-centric businesses to move in and hit the ground running with the minimum of fuss. It’s an exciting time! More co-working options are over at Factory Studios in Boscombe. It also offers some of the most affordable artists’ studios in the region and is set over 8,000 square foot of space. "We are passionate about creativity and strive to provide a much-needed space for creation, inspiration and collaboration right here in Bournemouth. We take pride in the unique environment we provide and have facilities to cater for all types of creative people and business. 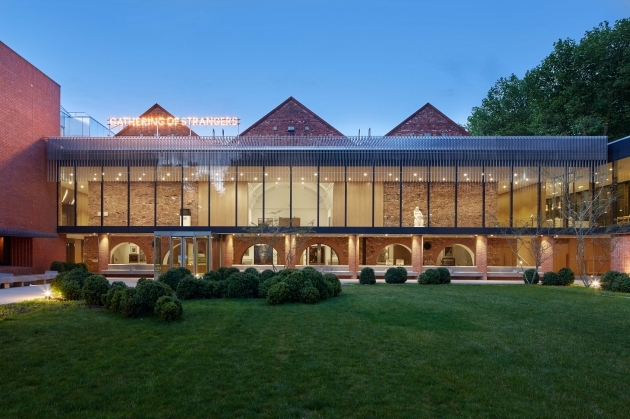 These include digital co-working spaces, arts studios & gallery, dance studio and print room. We also hold many unique events including exhibitions, workshops, craft stalls and outdoor cinema nights. All permanent residents benefit from 365 days a year secure access." Find out more at www.factorystudiosbournemouth.com. If you'd prefer some serviced offices, then check out The 4th Floor on Post Office Road. Offering all-inclusive rates with no VAT, it's one of the cheapest options in Bournemouth. They offer desk space on a daily, weekly or monthly term as well as monthly office space with no long-term tenancy agreements to sign. Plus, if you're just after a virtual address, they can help with that too. There is plenty of opportunity to meet other freelancers and creative agencies in Bournemouth. MeetDraw is a very popular and successful organisation that aims to bring the local creative economy together. It holds regular events and meet-ups, often involving beer in a relaxed and informal environment. HackBmth organises regular hack events for those who love digital while Creative & Digital Professionals is a friendly group that offers informal social gatherings for local creatives to meet and hang out. You should also check out co-working space By The Sea for regular talks and networking events. And follow @NestSpace for Nest Space's events, which include a monthly ‘Nest Beers’ evening. Finally, Creative Women in Business is another friendly meet-up that aims to support and encourage local female business owners. Some great local resources include ThinkCreateDo, a free online portal that supports and celebrates creative agencies across the south coast. You can join its directory and post your own news, events and jobs. Outset is a publicly funded programme offering free training and support to locals who want to start their own business. There are also some great annual events, such as Silicon Beach, which brings together the UK's leading strategic thinkers, digital innovators and people who look at brands. An excellent resource for the digital scene. And there's also re:develop where hundreds of awesome developers come together to improve their skills and broaden their horizons. Watch this space for 2015 updates! And if you work in digital, then you're extremely well-placed. Bournemouth is home to the world's largest Open Device Lab where you can test your apps and responsive websites for free. Amazing! To start your day and grab a nice cup of coffee, South Coast Roast is a great little independent on Richmond Hill and we'd highly recommend their flat whites. Or you could venture over to Espresso Kitchen on Commercial Road – the coffee really is superb. For some interesting lunch or dinner options, then Geneve is a popular eatery and arguably Bournemouth's coolest restaurant. Situated in the Westbourne area of town, it's homemade grub that includes 'dirty' burgers and slow'n'low US barbecue-style food. Yum! If pizza is more your thing, then you can't go wrong with Bournemouth Pizza Co, opposite the town's railway station. It's wood-fired oven pizza heaven with minimalist, no-nonsense space and large communal tables. Kino Lounge is another recommendation. It serves up delicious and affordable soups, salads, meze and hot tapas, pizza and pasta dishes. It even has its own arthouse cinema downstairs. A great little spot. You can't live by the seaside and not have fish-and-chips, and that's why you should also check out Chez Fred in Westbourne. Known locally as a pilgrimage for fish-lovers, it's a quaint restaurant that really delivers on taste. If you're hankering after some pub grub, then check out Goat & Tricycle – a right old proper boozer that serves up homemade egg and chips with cooked ham and a fantastic range of baguettes and traditional meals. Got a client to impress? Take them to the Ventana Bar & Restaurant. It's a double AA Rosette awarded venue which combines art deco luxury with contemporary style. Be warned though, it's extremely popular and tables get booked up well in advance. For some Friday after-work drinks, try Aruba on Bournemouth's seafront, offering panoramic sea views. It's a nice and relaxed bar and restaurant with its own sun terrace, outdoor seating, tropical palm trees and an island cocktail bar. If you prefer real ale and a more homely atmosphere, then pay The Porterhouse a visit over in trendy Westbourne. Full of character with wooden floors and oak panelling, it's a cosy space that offers a great range of beers and an excellent regular pub quiz on Tuesdays. Following a similar theme, real pub lovers should also hop over to The Four Horsemen where a craft beer revolution has kicked off. It's also a nice little venue to let your hair down and enjoy some live music and DJ nights. Details on their website. Bournemouth has a wealth of attractions and venues that will keep any creative happy. The Russell-Cotes Art Gallery & Museum is an historic house situated on the cliff top, full of treasures from around the world including famous paintings and ever changing exhibitions. 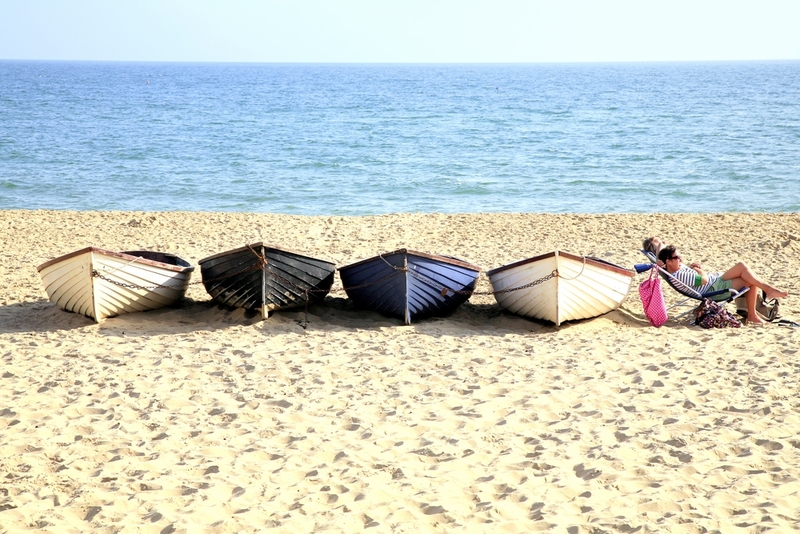 Take in the incredible views of Bournemouth beach as you wonder the grounds and enjoy a bite to eat from their cafe. Bournemouth offers an excellent array of evening entertainment at the BIC and Pavilion Theatre, from West End shows and pop concerts to comedy performances and dance productions. Of course, one can't not mention the Lighthouse over in neighbouring Poole – another great arts venue, offering film, theatre and dance. There's also Pavilion Dance, located at the Pavilion and offering classes, resources and events to the local community. For music lovers, the most wonderful Bournemouth Symphony Orchestra is very active locally, with plenty of regular concerts at venues across the area. There's also the quaint Shelley Theatre, the oldest surviving theatre in the town, which is currently being restored to its former glory. Built in 1865 as the private abode and performing home to the world famous Shelleys, a theatrical and literary dynasty from the 19th century, it's used for plays, live music, lectures, dance shows, workshops and much more. The annual Bournemouth Arts by the Sea Festival (October 2015, Dates TBC) attracts international artists as well as presenting some of the best regional and local arts. The festival is multi-art form, with the best outdoor performance, dance, film, digital art, sculpture, live music, light installations and sound. Many events are free and children's events also feature, this year’s theme is ‘on the edge’ for more information visit Arts Bournemouth. For animation lovers, check out the annual BFX Festival. And for lots of other ideas for 2015, check out local newspaper the Bournemouth Echo for some inspiration. In terms of shopping, you'll enjoy everything Bournemouth has to offer. The town centre has a pedestrianised high street with the usual mix of department stores, brand name shops and a sprinkling of independents – all surrounded by restaurants and coffee shops and within walking distance to the gorgeous Lower Gardens and beautiful local beaches. There's also the Castlepoint Shopping Park, situated just three miles from Bournemouth town centre and full of brand name stores, high street fashion, homewares, restaurants and cafes. There are other shopping experiences to explore in the Bournemouth suburbs of Boscombe, home to Bournemouth's Open Air Market; Westbourne, affectionately known as 'the village' and Southbourne, with unique independent stores waiting to be discovered. Bournemouth is also home to a selection of fantastic vintage shops - just head down to the vintage quarter (Christchurch Road in Pokesdown) and you’ll be overwhelmed by the range of retro boutiques, quirky cafes and individual book shops. While the Boscombe vintage market takes place inside Boscombe’s Royal Arcade on a Saturday every quarter. To find out more about what's happening in Bournemouth, take a look at the town's official tourist information portal. Special thanks to Matthew Desmier for all his help and suggestions, allowing us to successfully write this Creative Cities article. Before you go, check out this video that considers whether Bournemouth is the next silicon valley, after being named as the country's fastest-growing digital hub. Courtesy of freelance journalist Daniel B O'Donnell.